Amanohashidate is a large, tree-covered sandbar in Kyoto. 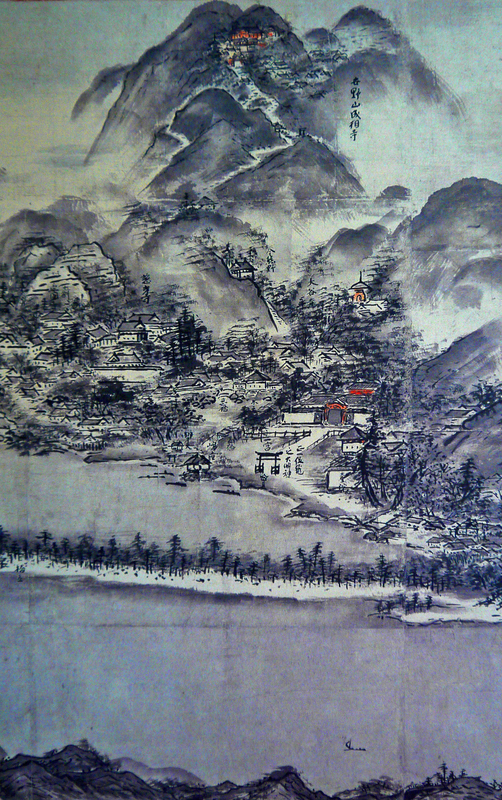 This work was drawn by Sesshū Tōyō (1420–1506) near the end of his life, at age 82. He creates an amazing sense of perspective with his mastery of light and shade (notan). Perhaps his aim was to create the feeling of calm that comes from viewing the actual splendor first hand, the feeling of mindfulness.